Do You Have A Republican Name? 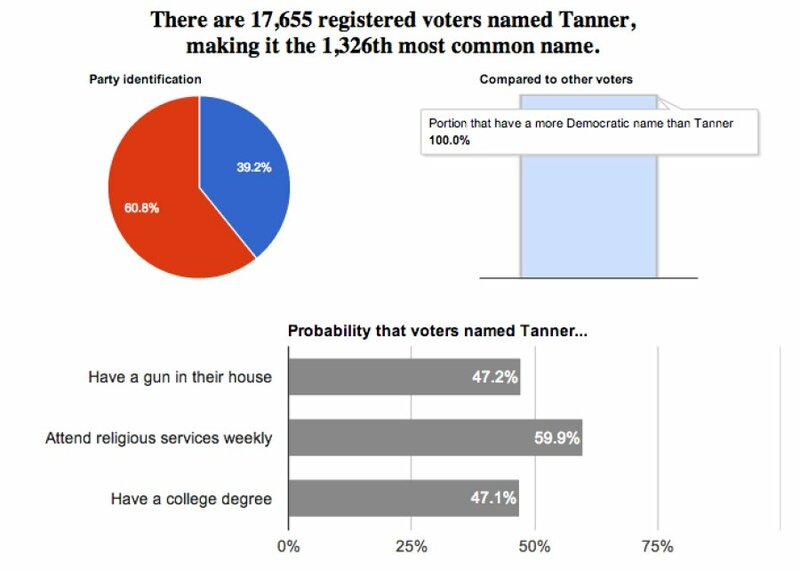 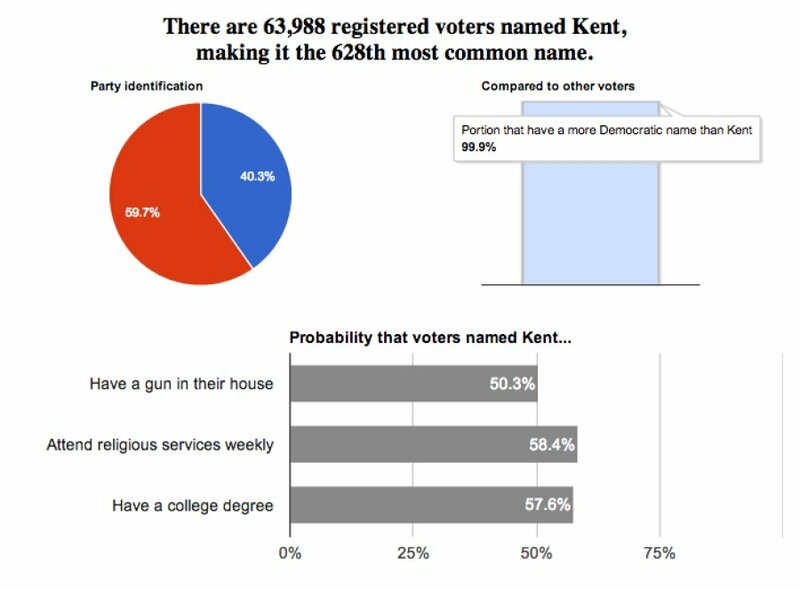 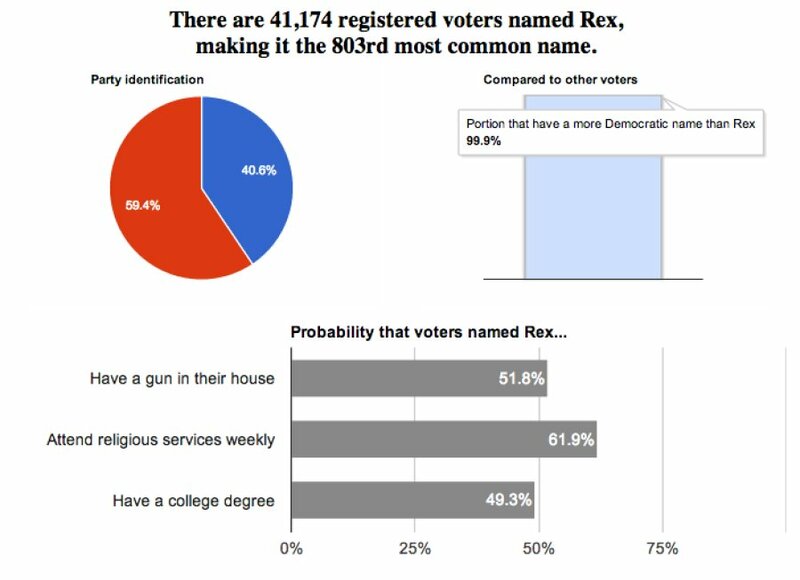 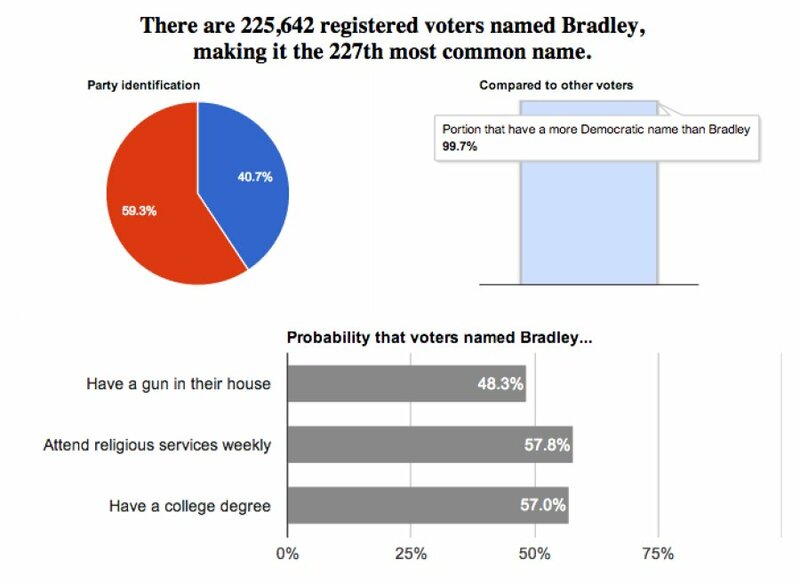 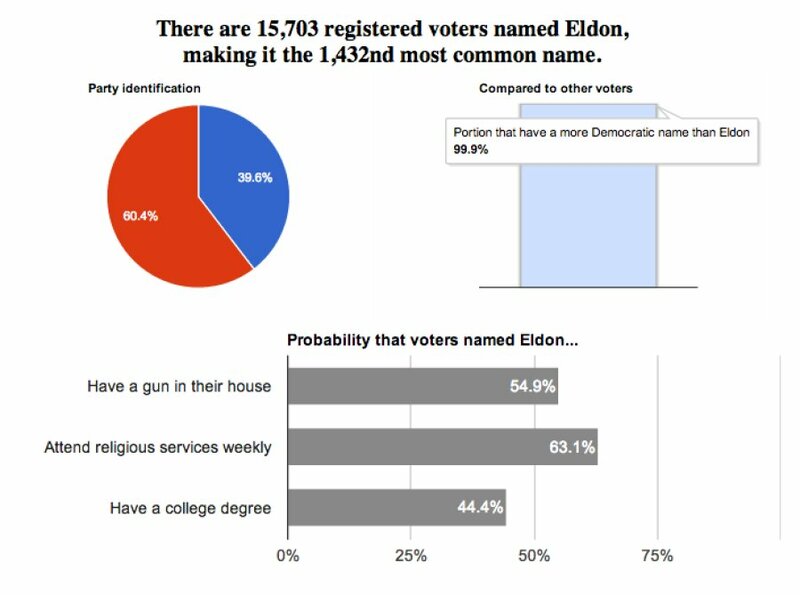 Thanks to data from Clarity Campaign Labs, a progressive analytics consulting firm, a quick first name search reveals a name's political popularity among registered voters in the U.S., including how likely a person with that name is to be affiliated with either the Democratic or Republican party, along with how likely they are to have a gun in their home, attend religious services regularly or have a college degree. 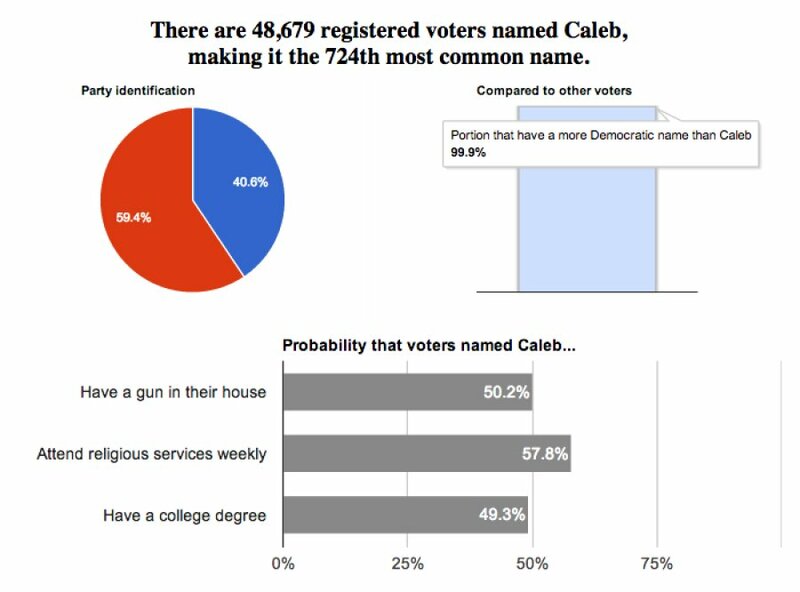 Clarity’s political party model is based on a randomly selected sample of voters from party registration data in multiple states, in addition to hundreds of thousands of interviews from national party self-identification surveys. The average probability from that model for each first name is shown by this tool.